Border Lines: Border Wars is Out! The reason for the exclaiming and exclamation point is that Amazon already sold out its initial stock (perhaps only a couple ordered from MIT Press!). Weird thing is that I didn't know, and only found out this morning after getting an email from MIT publicity asking me where the author copies should be sent. Seems that I will need to do my part helping out the MIT publicity department! Never have a used so many exclamation points -- not proper form for a policy analyst! Anyway, here's the book description from MIT Press and the Amazon link. The Tea Party and its allies celebrate the rogue states of the Southwest as a model for the nation in their go-it-alone posturing and tough immigration-enforcement talk. 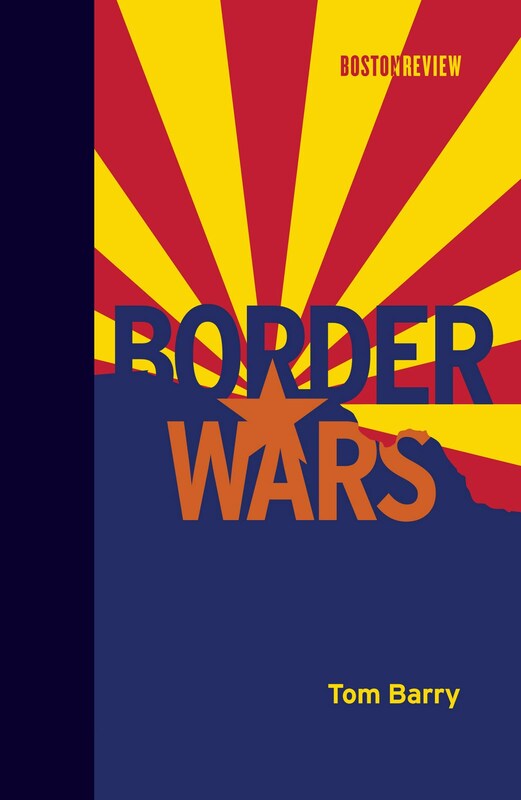 In Border Wars, dogged investigative journalist Tom Barry documents the costs of that model: lives lost; families torn apart; billions of wasted tax dollars; vigilantes prowling the desert; and fiscal crises in cities, counties, and states. Even worse, he warns, the entire nation risks following their lead. As Barry explains, the lack of coherent federal policy on immigration and drug war conduct and the uncritical embrace of all things in the name of national security has opened doors for opportunists from boardrooms to governor’s offices in Texas and Arizona. Corporate-prison magnates eagerly swallow up undocumented immigrants into taxpayer-funded dungeons, border sheriffs and politicians trade on voters’ fears of Latinos and "big government," and pro-business policy institutes and lobbyists battle the public interest. Tom Barry, Senior Policy Analyst at the Center for International Policy, is author of many books, includingThe Great Divide and Zapata’s Revenge. His article “A Death in Texas” was a finalist for a 2010 National Magazine Award for reporting in the public interest.